Sister Carol Keehan (Daughter of Charity) has been the president and CEO of the Catholic Health Association of the United States since 2005. In this role, she is responsible for all association operations and provides guidance for staff in both St. Louis and Washington D.C., where she is located. 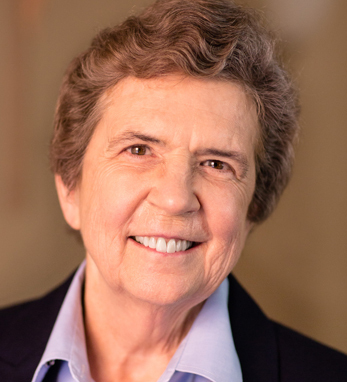 In 2014, Sr. Carol was elected as a member of the National Academy of Medicine, which advises the public on domestic and international health issues. In 2013, she was an Opus Prize finalist for her persistence in promoting access to health care. She also played a vital role in the Affordable Care Act’s enactment in 2010, helping to ensure that health care is available and affordable to the nation’s vulnerable individuals and families. For this work, Time magazine named her among the “100 Most Influential People in the World.” She holds a B.S. in nursing from St. Joseph’s College and an M.S. from the University of South Carolina.